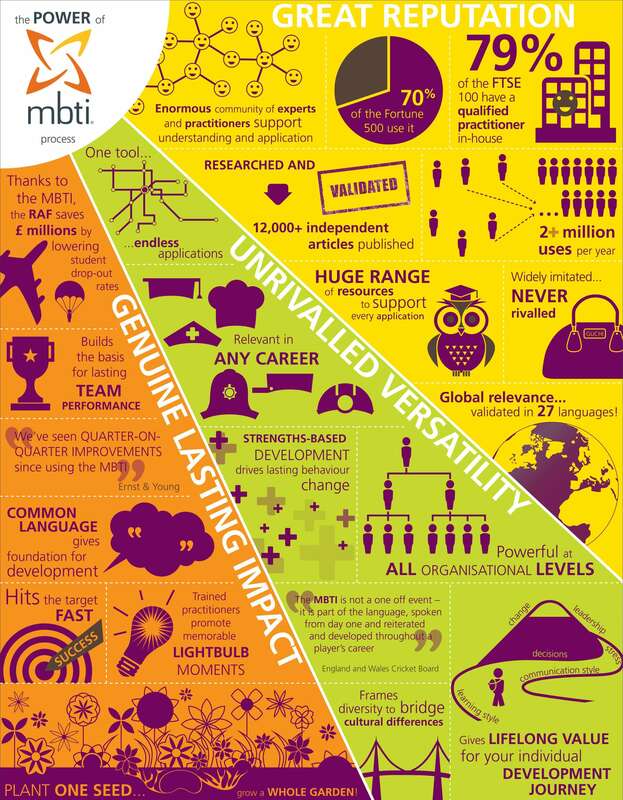 Having helped millions of people worldwide gain insights about themselves and how they interact with others, the Myers Briggs Type Indicator (MBTI) instrument has earned it’s place as the most trusted & widely used personality assessments in the world over it’s 70 year history. Why might I or my business benefit from Understanding my/our Myers Briggs Type? If it would be possible to work more effectively with others? What would I need to develop to be even more effective in the way I operate? For me to be at my best, what environment or circumstances need to be in place? What are my triggers for extreme stress and what can I do to protect myself? You are a unique individual. You also share some characteristics with other people. The 16 Myers Briggs Type highlight those similarities and differences with others of a different type (or preference). It can help you deepen your self-awareness, find a career your will enjoy, become a better leader/manager or improve your relationships. Understanding personal preferences (and non-preferences) has helped many of us improve how we communicate, learn, and work. It provides a powerful framework for building better relationships, driving positive change, harnessing innovation, and achieving excellence. The MBTI assessment makes Carl Jung’s theory of psychological types understandable, accessible and highly practical by helping individuals identify their preferences. What’s involved & How does it Work? 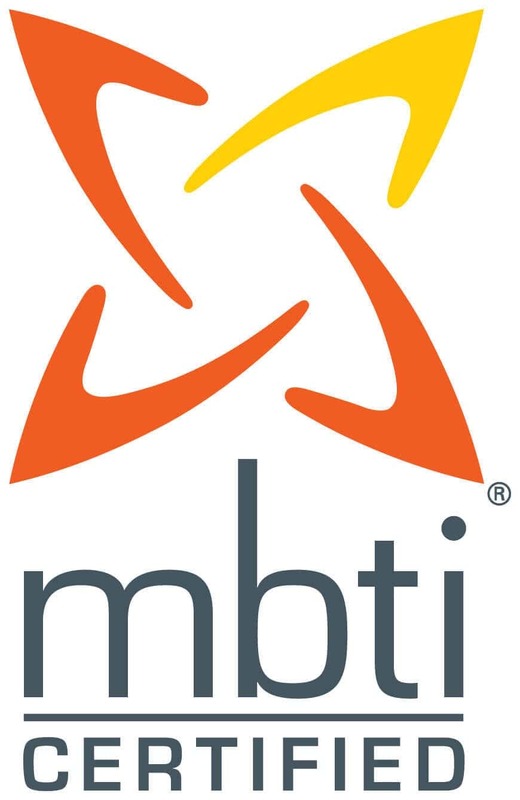 If you’d like to use MBTI as a coaching tool, you will be asked to complete a Myers Briggs Type Indicator questionnaire online, which will be followed by a 90 minute one-to-one session with Laura as a fully qualified MBTI Practitioner. The session will start with the robust feedback process and will be tailored to suit you; focusing on getting you to your ‘best-fit’ type, understanding this in more depth, and looking at areas for further personal development. The real value in the tool is not just knowing your ‘letters’, but using the knowledge to become more flexible in your approach. You will be given your MBTI type report to keep. In order to extract as much value from the report and new knowledge you have, many people choose to have a follow up one-to-one coaching session – where we take your knowledge of your type to the next level and really focus on your development outcomes. Laura has used Myers Briggs for Team Building sessions (both where teams are newly formed and need to quickly get to a point of working effectively together, as well as with teams that may have struggles or challenges). There are various ways in which team building and team development can take place and depending on budget and time available we run half or full day facilitated workshops. It is also extremely effective when delegates are also offered one-to-one coaching prior to or after the team event.